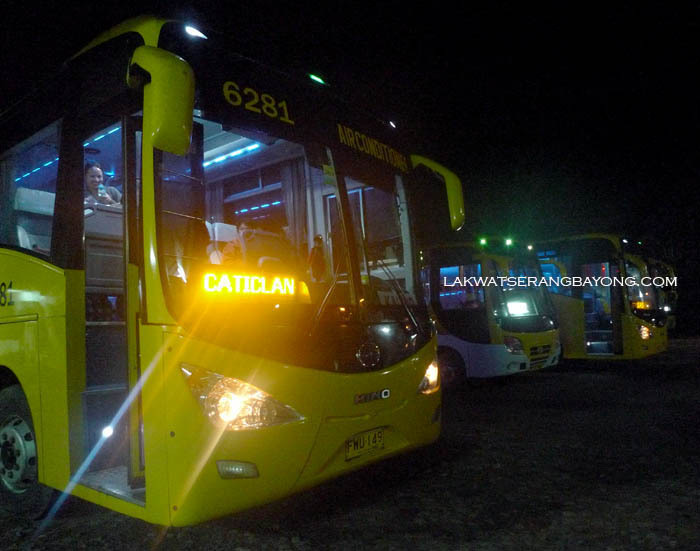 The Ceres bus we took from the Tanza terminal in Iloilo to Caticlan costs Php 325 (USD7.38) and we were on the road for 6 hours. It was a pretty straightforward trip stopping for 2 bladder breaks in between. 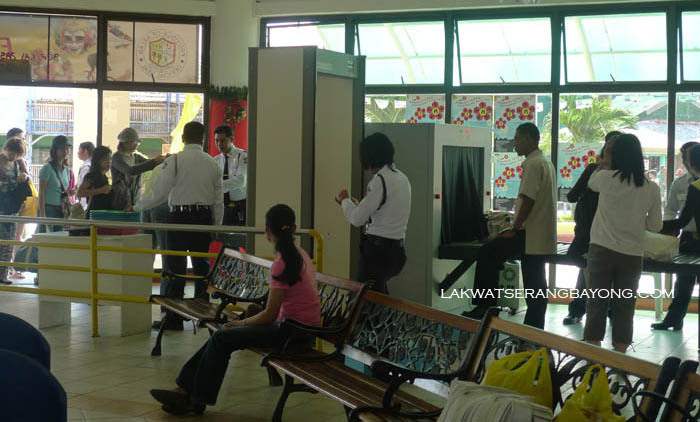 Bring spare change and toilet paper when you do your business at these breaks, a Php 3 (USD0.06) is required even if the restroom conditions are lamentable. We left the terminal at exactly 430 AM with only a few of us on board so the driver picked up passengers along the first few kilometers of the way. 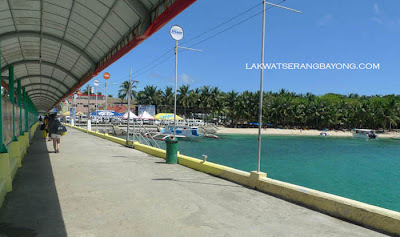 We arrived in Caticlan at 1030 AM. It was an uneventful trip and I slept most part. Kim got too excited at the first signs of the aquamarine waters and woke me up. I was so relieved to see a gorgeous day with very few clouds in the blue sky. Days leading to this trip, we’ve both been obsessing about the weather because of the erratic patterns with awfully gray clouds dominating the skies bringing rain and violent thunderstorms. 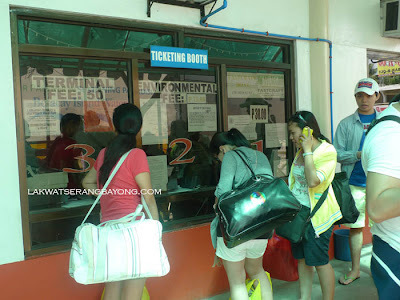 The bus dropped us off right at the Caticlan Jetty port (the jumping-off and on point to Boracay) and I joined the short queue stretching my tired limbs while waiting for our turn to pay at the window. I collected Php 155 (USD 3.52) each from the group for the necessary dues. Php 75 (USD 1.70) terminal fee. Php30 (USD 0.68) Montenegro fast craft fare – the cheaper alternative for Php 15 (USD 0.34) is via motorized outrigger boat. Trip usually takes 20-25 minutes. By the fast craft it was shortened to 8 minutes but we had to wait for the craft to fill up for about 20 minutes. Tricycles are plenty and the main mode of transport to get around in the island. 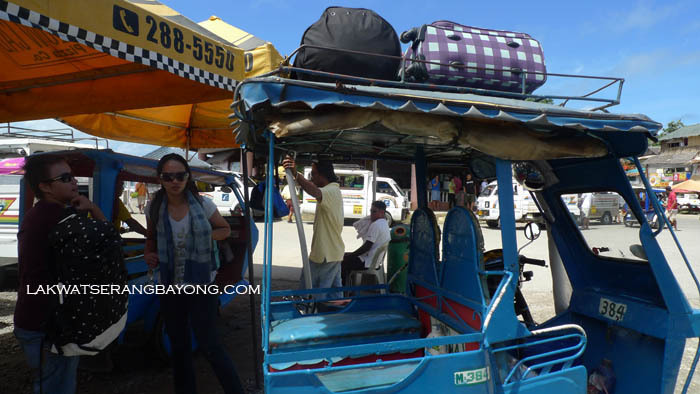 There is a lineup of tricycles as soon as you get to Cagban port. A “dispatcher” oversees the line. Our assigned driver approached us and we told him we’re booked at La Carmela near the tourist center. He nodded and began tossing our bags on the roof and secured it with a string while we hopped on, Kim and I on the front, with Nikki and Pen at the back. The tricycle ride to our hotel was Php 100 (USD 2.27). Tricycles are prohibited on the main beach so he dropped us off the main road with a path that leads down to our beachfront accommodation. It was a short walk but encumbered with our luggage, the sun high up in the sky and sluggish from the upright sitting sleep position, it got us pretty tired that we spent half of our first day in Boracay catching up on our zzzzzzzzs and resting indoors. Dollar exchange rate to peso at the time of travel: USD 1 to Php 44. These buses are everywhere in the Visayas region, me thinks. Took the same liner on our Moalboal trip from Cebu city. This was airconditioned but the one for Moalboal was not but wasn't such a big deal as the air was fresh and not as tainted as our beloved Manila's. reminded me of my first trip to boracay. we did the same and we didnt sleep the whole way. I'm always useless at bus rides, out like a light the whole trip. Kim on the other hand hardly gets a wink. LOL at "parang hindi normal pinoy bus!" OO in fairness, the aircon is working really well, its super clean, the driver is disciplined (!!!) and since we were seated at the front more leg room. We agree, hindi nga normal pinoy bus hahaha!